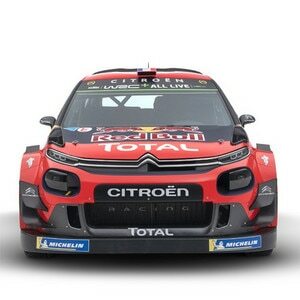 The Citroën Total Abu Dhabi WRT crews performed entirely in keeping with the ambitious goals set for them, but they were unable to turn their clear speed into results on some of the most demanding roads in the World Championship. 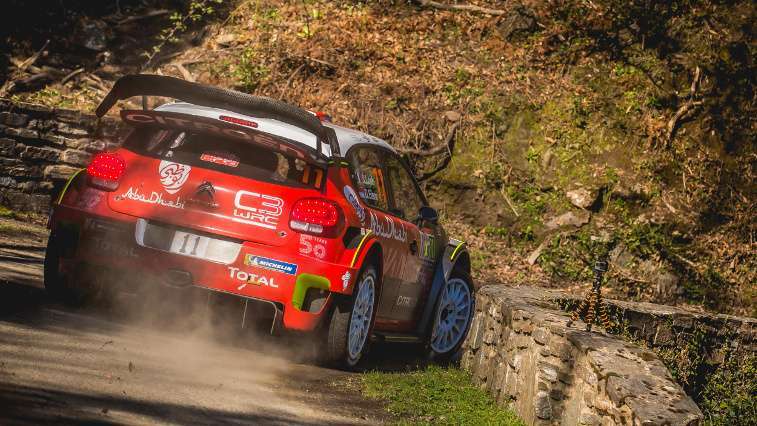 A true tarmac specialist, Sébastien Loeb had already produced exceptional results in Corsica, similar to 2005 when he topped the timesheets on every stage throughout the weekend. Ten years after his last appearance here, he produced another incredible feat on Friday morning when he finished just 9.7 seconds behind the leader on the formidable opening stage of La Porta – Valle di Rostino (49.03km). Whilst his rivals used their experience of the stage having faced its seemingly never ending series of bends since 2016, the nine-time World Champions had to rely solely on pace notes. Their ninth position in the running order was no help to their cause, with more gravel and mud being pulled onto the road as cars ahead completed the stage. Unfortunately, Sébastien Loeb was caught by cold tyres at the start of the next stage forcing him into an early retirement. 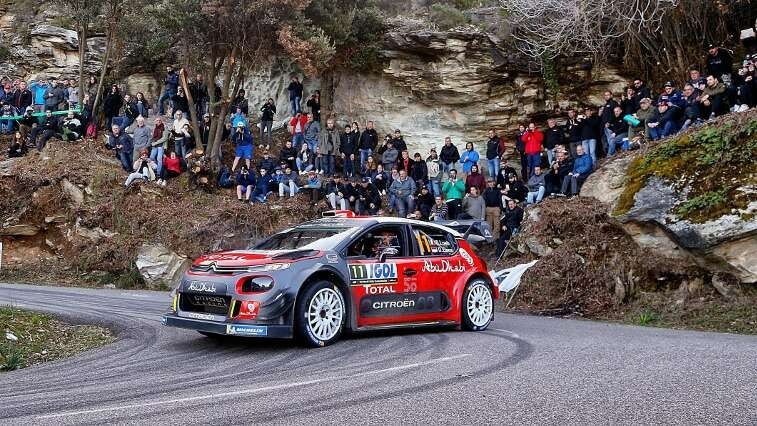 Kris Meeke then took up the baton to perform superbly on behalf of Citroën Total Abu Dhabi WRT. The Northern Irishman made it to the end of day one in third overall, just 5.1 seconds behind the second-placed driver, picking up a second fastest and a third fastest time in the process. Whilst Sébastien Loeb produced a masterful display on Saturday when he returned to action under Rally 2 rules, and his three stage wins demonstrating the performance level of the C3 WRC on this surface, Kris Meeke also confirmed his good form by moving into a tie for second place. Unfortunately, a pace note error ended up in the Ulsterman going off the road on Saturday's final stage. 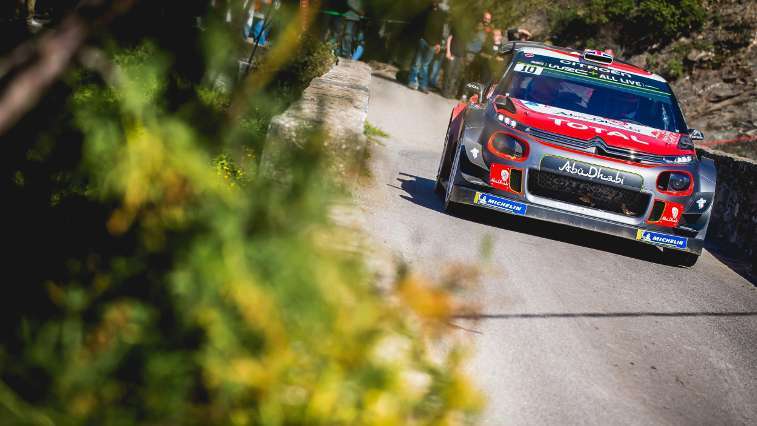 After securing the second fastest time on Sunday following his return under Rally 2 rules, before finishing third on the Power Stage, Kris Meeke nonetheless demonstrated the qualities of his car right to the end. The same was true of Sébastien Loeb, who came second on the final speed test – hotly contested as ever – just 2.2 seconds off the stage-winning time. How would you assess this first rally of the season on tarmac? Were you expecting Sébastien and Daniel to be in such good form again? "His performance on this stage is comparable with what he achieved with Danos in Mexico – they just keep on surprising us. It was a stage where knowledge was important, given the constant changes in pace, grip and road surface, and with all the streams of water running across the road from the 15km point onwards, running ninth on the road wasn't really an advantage. That reflects his professionalism, and his commitment too because he worked on the on board camera footage taken during the recce. In conditions like these, his incredibly precise pace notes also help make a difference, because they are unerringly consistent. Every single corner is noted faithfully, even though it is extremely complicated to be so precise on such a long stage. In any case, it's when the going gets tough that his ability to adapt comes to the forefront and he is the best."